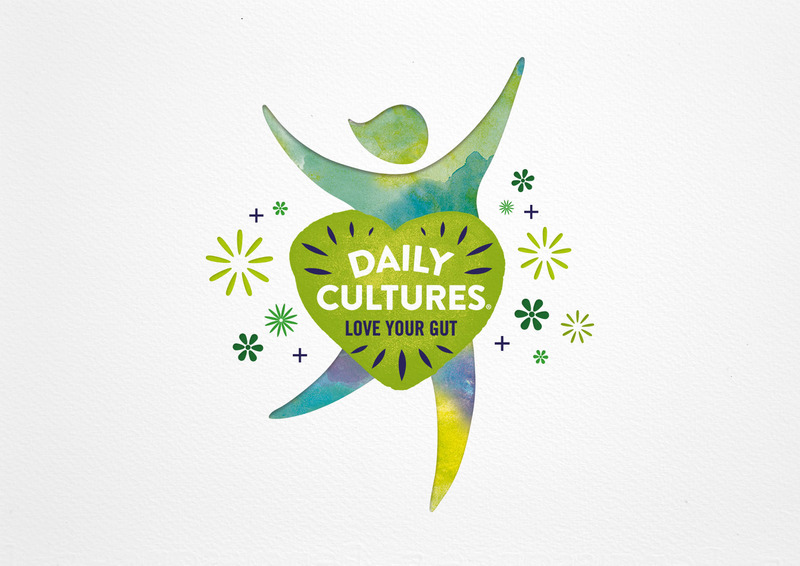 Daily Cultures is a brand on a mission. 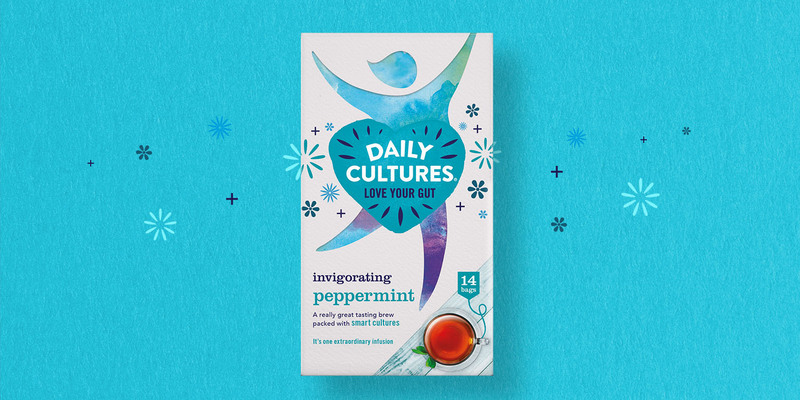 Committed to delivering everyday food and drink products that contain their unique smart cultures to aid good gut health. They adamantly believe that good gut health is the key to improving many health issues developed through poor diet and processed foods. They trust in plants. 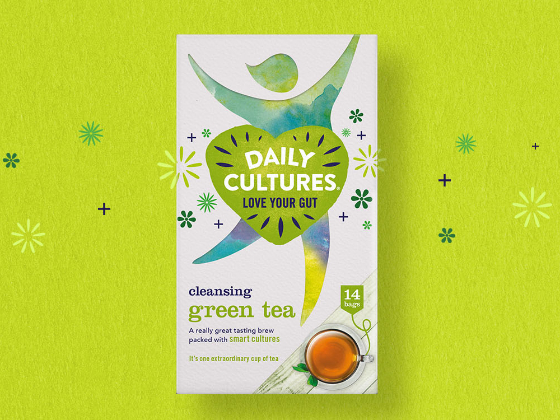 All of their products are 100% natural, convenient and delicious with their special Bacillus Coagulans cultures to help maintain and support a healthy gut. Powerful stuff. With a small range already in the market we were tasked to future-proof the current brand and packaging with a radical redesign. 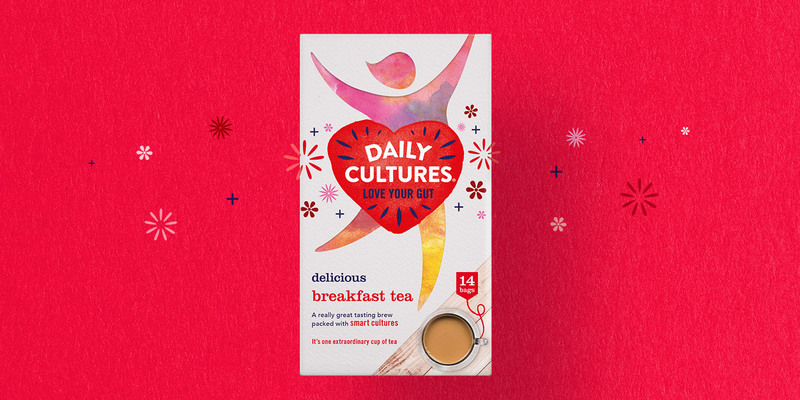 Daily Culture's aim was to engage consumers with a brand that wasn't like any other food and drink brand. Their products tread the line carefully between a health based product and a foodie one. Our main challenge was to create the right balance for a variety of consumers all looking for the perfect solution to a common problem. A tasty brand with health benefits that actually work. How does healthy food and drink that tastes great make you feel? 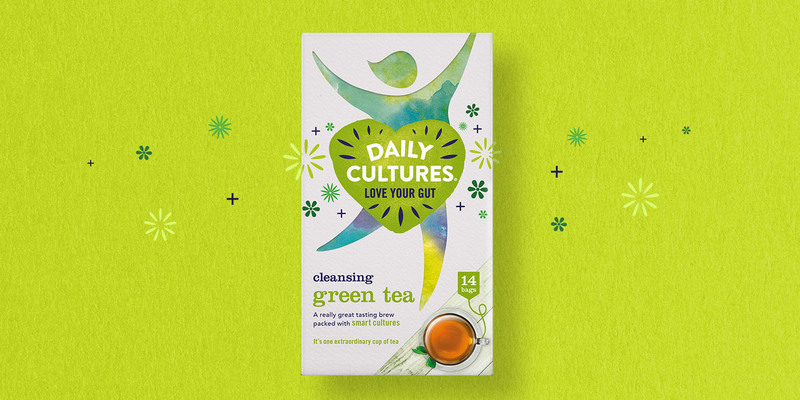 That's the emotive feeling we captured for the brand, the uplifting feeling you get when you're at your happiest and healthiest. The branding is encapsulated in a heart, the universal symbol for health, over the gut area of a figure jumping for joy. The sparkles and twinkles surrounding the heart represent the cultures as an extra sprinkle of magic on the pack and in the product.